Delivery time: More coming soon. 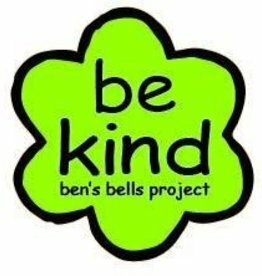 Please check back for availability or contact us at shopkind@bensbells.org. 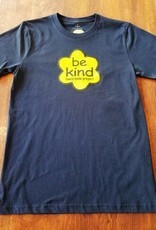 Now you can wear your kindness, be gentle to the environment and help the food insecurity. You can't get much kinder than that. Made by our friends at Fed by Threads. T-shirt shown is a medium. 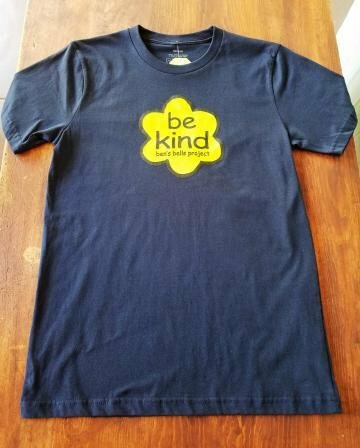 Sometimes men need a way to dress up their kindness. 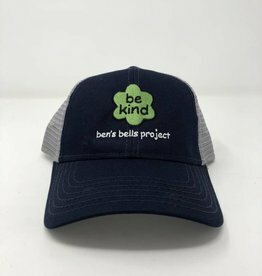 You don't have to get behind the wheel of a big rig to enjoy our "be kind" Trucker Cap. 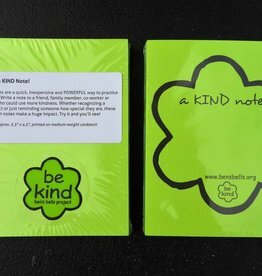 Our flower-shaped "be kind" logo made into a weatherproof magnet! 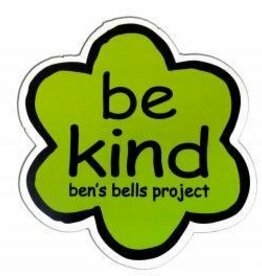 Our "Be Kind" Bumper Sticker is the perfect way to spread kindness on the road and throughout your community!